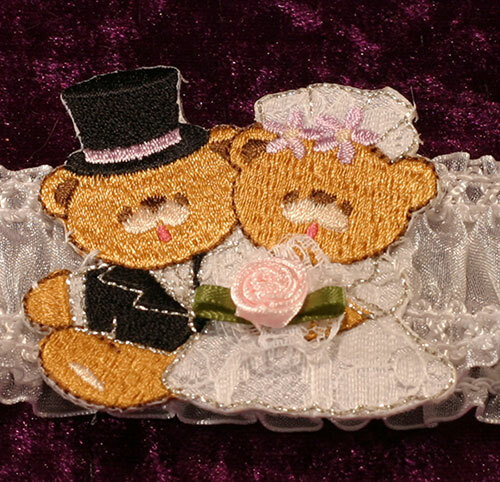 Elasticated lace with appliqué bear bride and groom detail. Now taking orders online with paypal, ensuring your order is secure and safe. 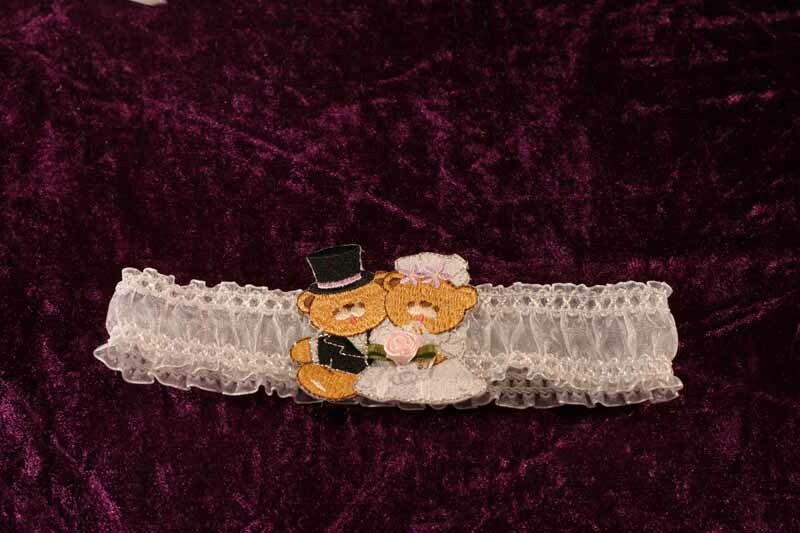 To discuss your design requirements made to order.